My Mom, my sister, our kiddos and I went out to celebrate my niece Samantha turning 4 tomorrow and my sisters upcoming birthday on Oct. 6th. We went to the Fall Harvest Orchard in Montrose, Mn., We saw many farm animals and went on a wagon ride. 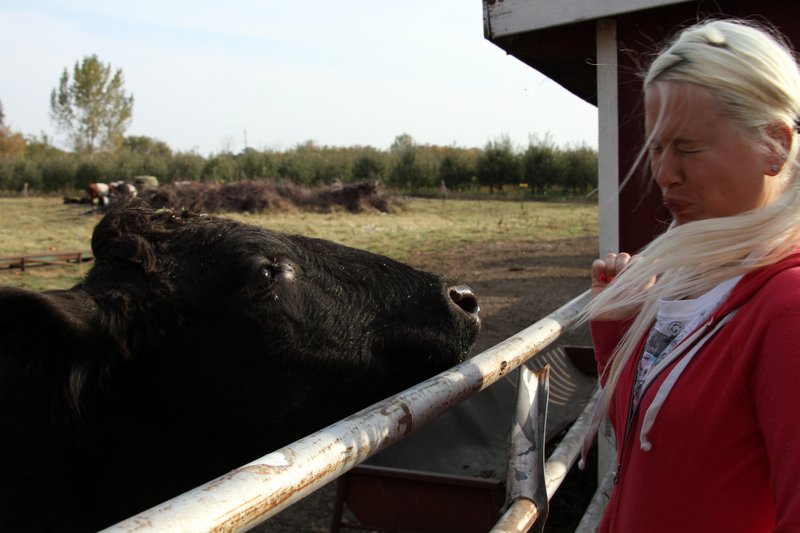 I tried to give a cow a kiss and it sneezed right in my mouth- it was pretty gross!! !